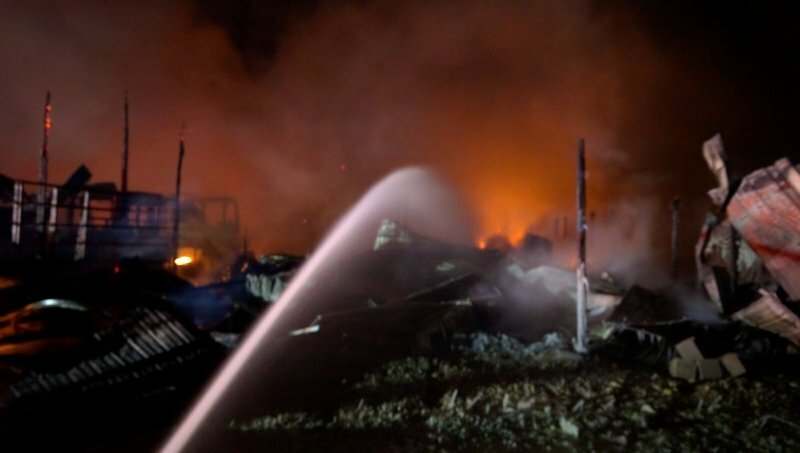 At 0100 on Saturday February 12th Valley City Fire Department responded to a fully involved barn fire at 7844 W Law Rd. 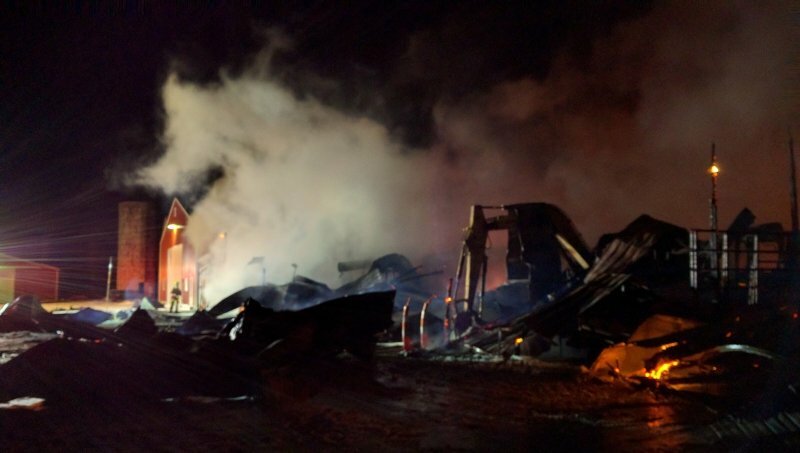 The fire was called in by a neighbor, when the first truck arrived on scene the entire barn and its contents were on fire and was beginning to spread to two other structures. Firefighters immediately began defensive operations and were able to save the two other barns. Valley City firefighters were assisted by Brunswick Hills FD, Erhart FD, Grafton FD, Brunswick FD, and LST. Due to the extreme cold (8 degrees) firefighters had to be constantly rotated. Firefighters were on scene approximately 7 hours. There were no injuries to people or animals, however the barn and its contents were a total loss. The loss is estimated at $9.5 million due to the multiple pieces of machinery in the barn. The cause of the fire is currently under investigation by the State Fire Marshall, due to the high dollar loss. Valley City would like to thank all departments who assisted at the fire.